Have fun and connect with friends! 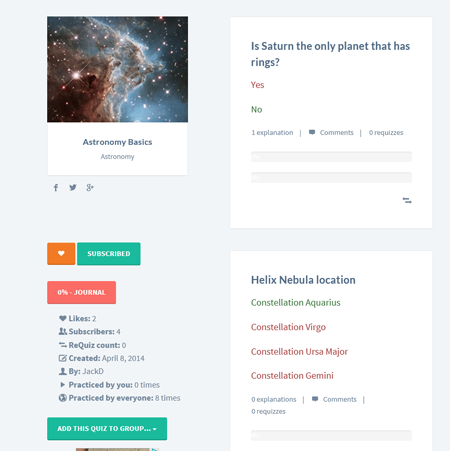 Introducing new section - Bloggn. Instructional video on how to use Quizzn.com for effective learning, brainstorming with others, and much more. We feel like we need to connect with our quizzners more. That's what we'll do. We didn't sit without work. New update includes fast and fully responsive Dashapp 2.1. All the same features, only more effective. Enjoy and write us your feedback. Introducing quizzner's dashboard for fast and productive management of your study resources. Dashapp is the next step we took to make your study experience more efficient, including communication with other quizzners with Dashapp Messenger, easy quiz creation with Quiz Maker, fast search, and more. Even more features are on the way. Due to the latest extensive update of Dashapp to version 2.1, it is currently in testing state, therefore if you encounter unusual behaviour, please let us know. You feedback is highly appreciated. Happy studying! Yes, now adding questions is even easier. Simply paste the text, select, and done. As easy as that, as many as you want. Enjoy! To try it out, head to any of your quizzes, select "Edit" tab on the top, and hit "Quiz Maker". Make sure to read hints on the bottom of the Quiz Maker page. 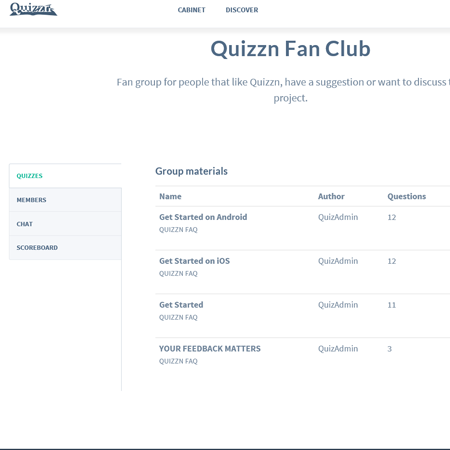 Quizzn is a public service that connects people, creating unique community that is ready to help and share materials. Connecting people with the same study interests has never been easier. Separate discussion thread, add or suggest materials, manage members and assign group managers. We support Android and iOS. As of now, not all features of Quizzn is yet supported, but we're on it. Also, our web application is mobile-optimized, which means you can use it inside mobile browser without any difficulties. Add explanation or reference to any question. Not only it gives you more information, it creates an opportunity to study with others, since anyone can add an explanation to any question. Vote for the best to support it. Also, go through the explanations as you practice it in any mode. 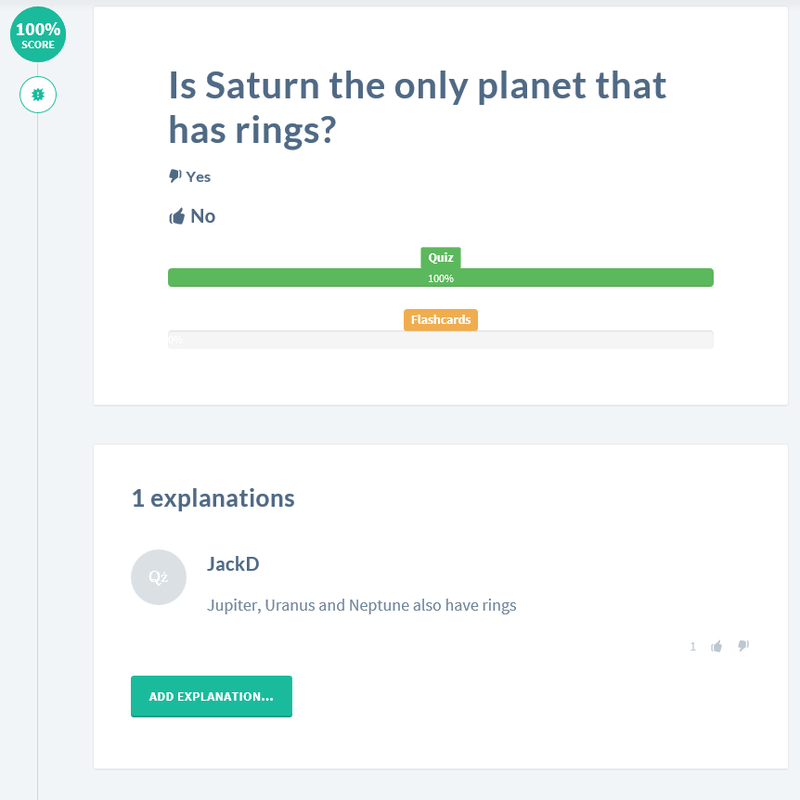 Now you can requiz questions from other quizzes to mention it in your quiz. 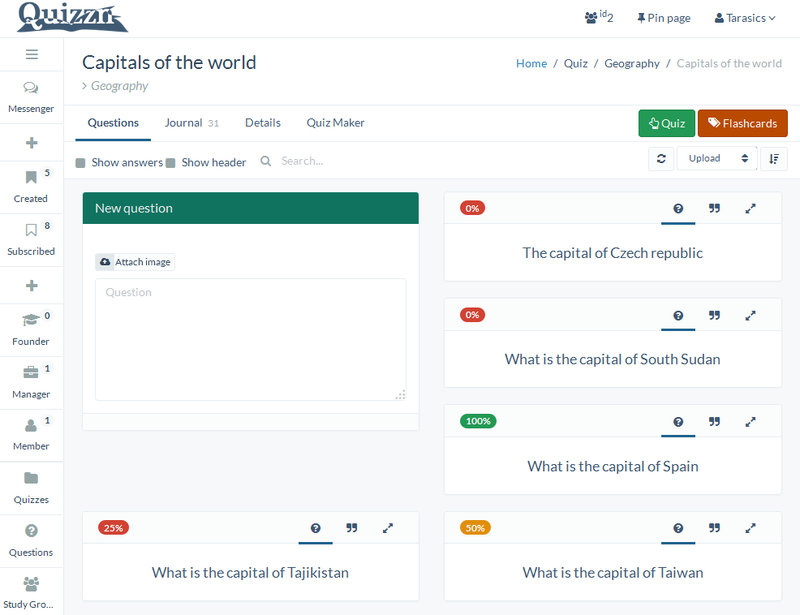 Note, that you can not edit questions that is not created by you, but you still can add explanation and comment, and now, add and practice in your quiz. 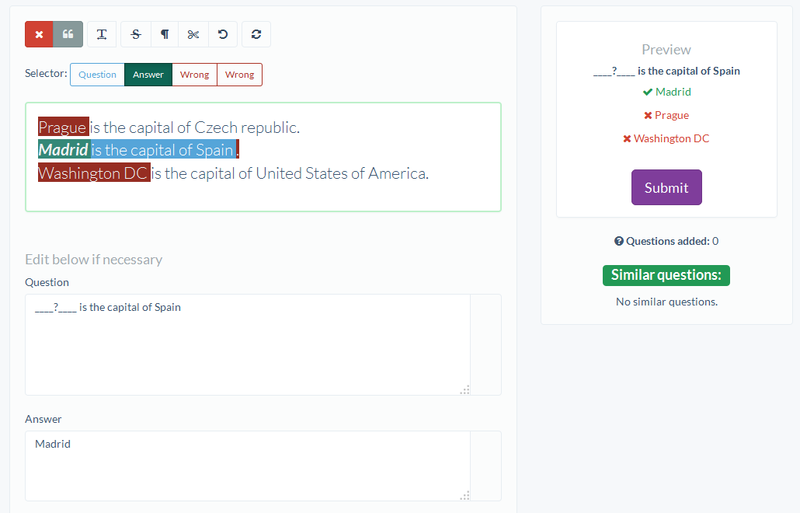 Another way to use 'Requiz' feature is to create quizzes from existing questions. 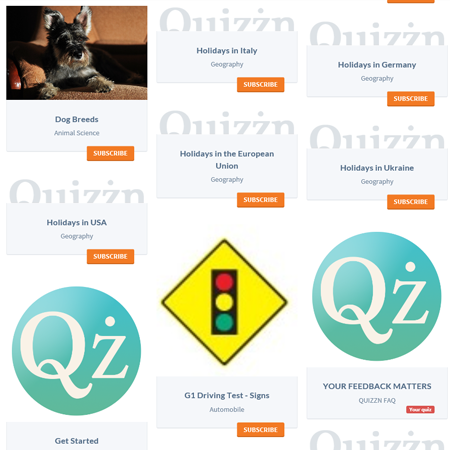 That way quizzes can be much more flexible and there's no need to duplicate same question over and over. 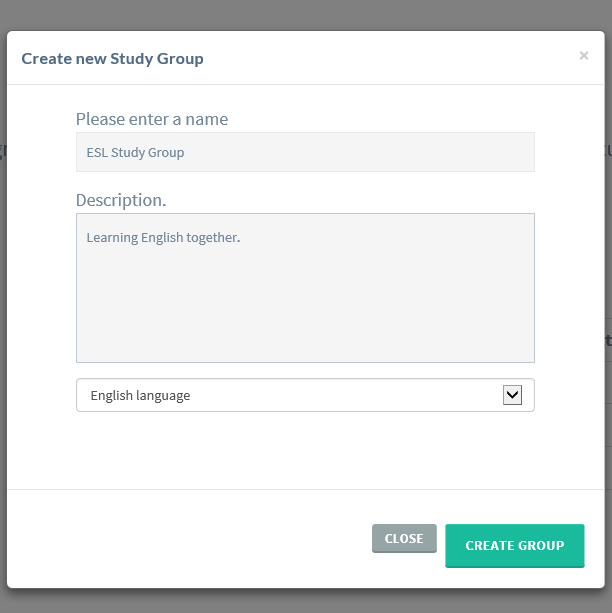 New feature allows to create study groups to share materials and discuss anything together. Anyone can create a study group, anyone can become a member of a study group, share study materials and compare scores. As a creator of a study group, you have the ability to add and approve study materials, approve members and promote a member to a manager to help you manage. To become a member, you need to be approved by the founder or a manager of the group. The founder and managers can add materials directly, while member's suggestions have to be approved. 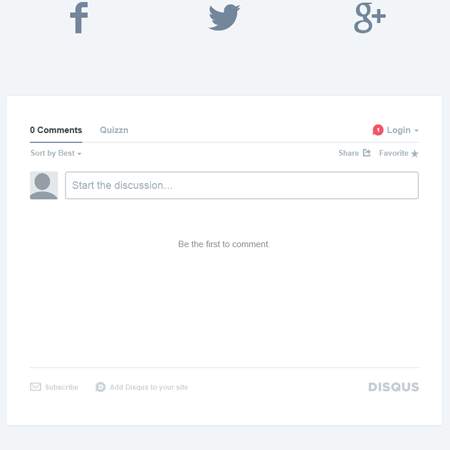 Discussion threads are available to discuss questions and inside a study group (limited to the members). Every Quizzner makes a valuable contribution to our community, making studying easier for someone. In fact, we do not create any study materials, it's all done by people like you. Oh, and did we mention that all that is free? Quizzn is a young service that bears only one goal - to make the learning process as enjoyable, social, and easy as possible. It is a free application that has the ability to connect people that are eager to learn, share knowledge and just have fun. Feel like you need to contact us? Please write us a letter. © 2015 Quizzn Inc. All rights reserved.